Unemployment across state rose to 4.1 percent in December from 3.9 percent in November. Oregon's unemployment rate rose to 4.1 percent in December from 3.9 percent in November. The rate has been close to 4 percent for the past two years. The U.S. unemployment rate also edged up two-tenths of a percentage point, to 3.9 percent in December from 3.7 percent in November. In December, Oregon's nonfarm payroll employment grew by 300 jobs, following a revised gain of 300 jobs in November. Those two months of nearly flat employment trends followed four months of fairly rapid job gains that averaged 3,700 per month during July through October. In December, leisure and hospitality added 1,600 jobs, health care and social assistance added 1,000, and government added 900. The industries declining the most in December were professional and business services, which dropped by 1,900 jobs, and retail trade, which cut 1,500 jobs. The federal government shutdown did not impact Oregon's December federal government jobs tally. Leisure and hospitality reflected solid demand for employees over the past four months. During a time of year when demand for restaurant services is typically declining, the industry kept total employment levels above the normal seasonal trends. Recent gains followed weaker hiring during the upswing from January through August. Looking at the longer term, leisure and hospitality added 2,500 jobs (a gain of 1.2 percent) over the past 12 months. Retail trade experienced a weak holiday hiring period; employment dropped 3,000 jobs between October and December. That followed minimal growth going back to early 2017. In the past 12 months, retail trade cut 1,400 jobs (-0.7 percent) and was the only major industry with a drop of more than 1,000 jobs in that time. The sporting goods, hobby, book and music stores component of retail has downsized over the past few years due to changes in how customers acquire their goods and services. It employed 10,000 in December, which was a decline of 900 jobs since December 2017. Oregon's nonfarm payroll employment increased by 30,800 jobs, or 1.6 percent, since December 2017. In that time, construction remained the fastest growing industry, with a gain of 4,900 jobs or 4.8 percent. Only two other major industries grew by 3 percent or more: other services (up 2,000 jobs, or 3.1 percent) and transportation, warehousing and utilities (up 1,900 jobs, or 3.0 percent). The Oregon Employment Department and the U.S. Bureau of Labor Statistics work cooperatively to develop and publish monthly Oregon payroll employment and labor force data. The estimates of monthly job gains and losses are based on a survey of businesses. The estimates of unemployment are based on a survey of households and other sources. 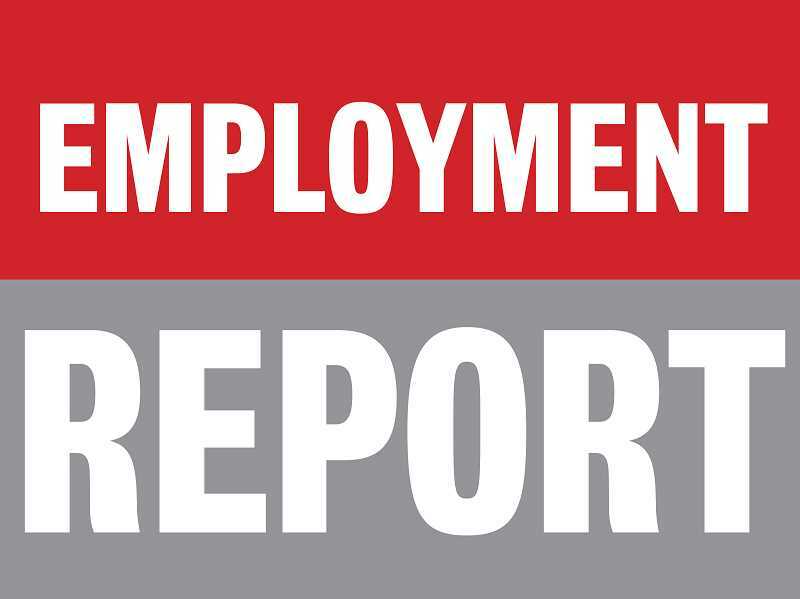 The Oregon Employment Department publishes payroll employment estimates that are revised quarterly by using employment counts from employer unemployment insurance tax records. All department publications use the Official Oregon Series data unless noted otherwise. This month's release incorporates the April, May, and June 2018 tax records data. The department continues to make the original nonfarm payroll employment series available; those data are produced by the BLS.